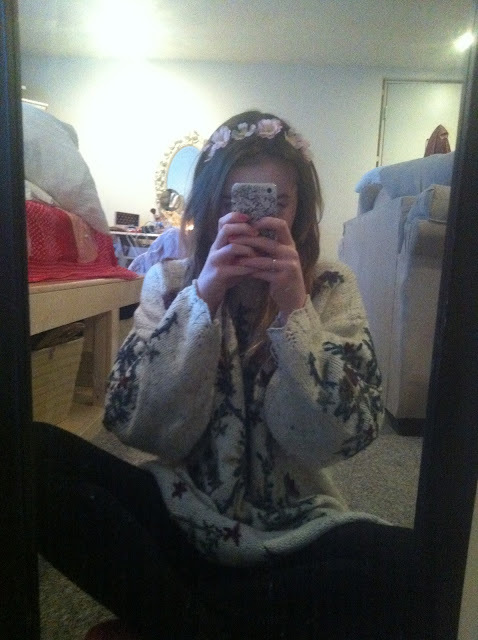 So yesterday I was very inspired to make one of these floral crowns, I've found that they have been very "trendy" I guess you could say, lately. So I made a quick trip to Walmart to pick up the materials to make it myself! I first made the headband with the pink flowers because I had a lot and I wanted to make sure that I didn't mess up with the pretty flowers. I started off measuring the size of my head with a little bit of room to be able to over lap the elastic to make a seam. I glued both ends of the elastic together making sure that it was not twisted before glueing. While the glue was drying, I cut the flowers off of their plastic stem making sure that the bottom of the flower was flat enough to glue down but not too much that the flower fell completely apart. Once the headband and flowers were ready, I laid out how I wanted the flowers to be placed. I chose to alternate between big and small flowers. Next I just glued on the flowers, firmly pressing them down to make sure they set in the place that I wanted them to. But if you're using super glue, please don't glue your fingers to the headband!!! 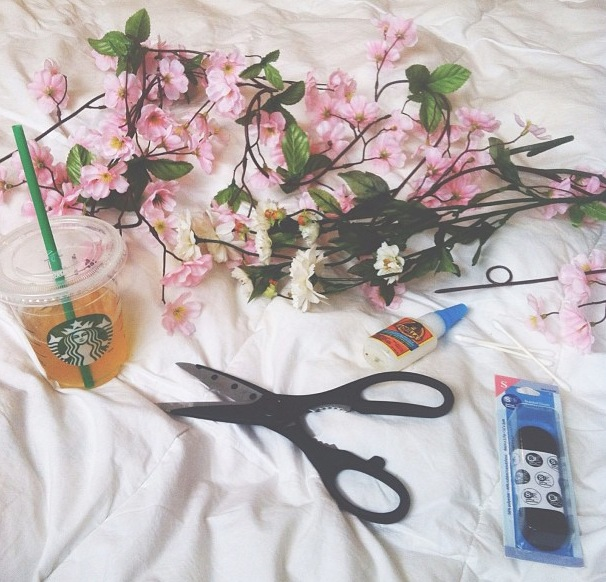 Wait for all the glue to dry completely before trying on your new fabulous flower headband! I also made 2 other flower hair accessories (both look the same as the photo above but one has smaller white flowers), they were made the exact same way as the headband! Except I wanted to make sure that it fit around a sock bun, so I put my hair up and measured the elastic around, cut, and glued! After the glue was dried, I put the elastic band around the sock bun to make sure it fit well before glueing on the flowers! But I did notice that the flowers made the the elastic get smaller so take that in advance, and if you need to, just leave some room to be able to cut off a bit of elastic later. 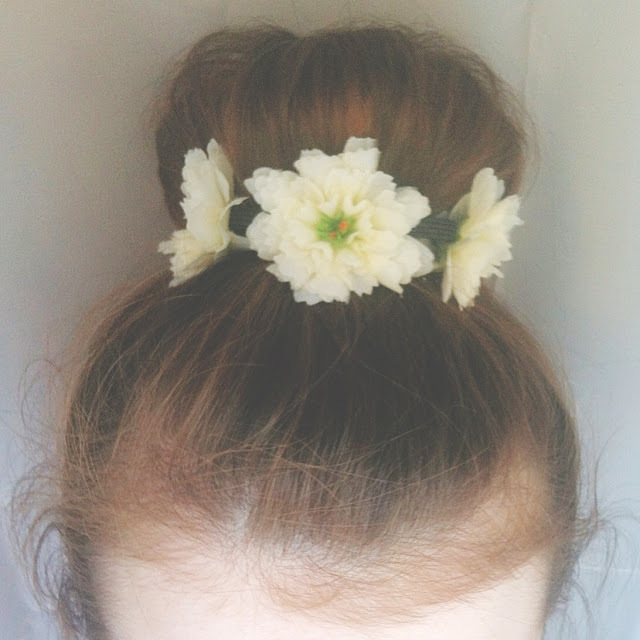 I hope you enjoyed my flower crown tutorial!